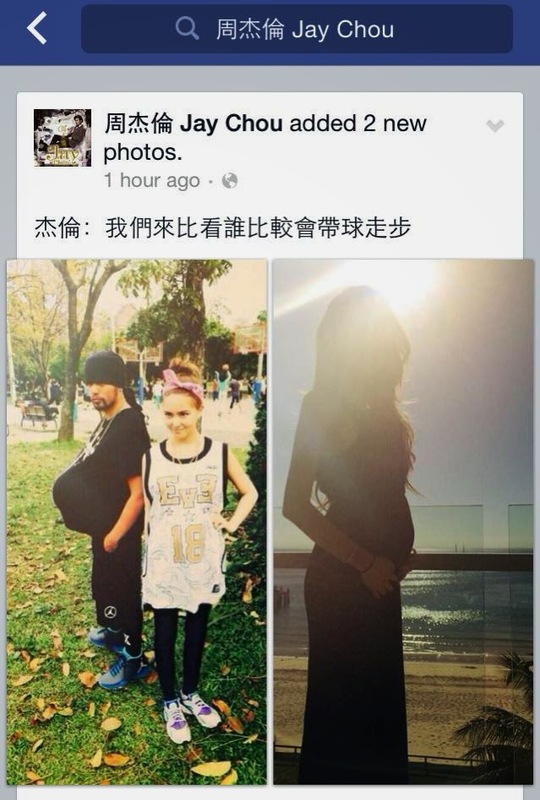 Jay Chou Diaoness: Chou Style: Jay and Hannah are expecting! 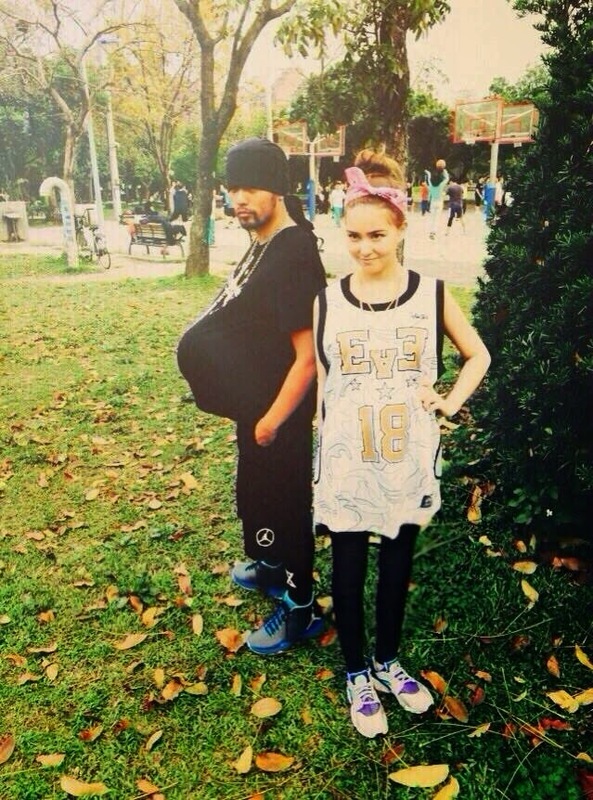 Chou Style: Jay and Hannah are expecting! I just knew His Royal Diaoness would find a cute and unique way to announce good news. "Let's see who walks better with the 'ball'." Cryptic as always is our Jay. What was not so cryptic but rather simply hilarious was the photo of him with his teeshirt tightly pulled over a (most likely) basketball! I tell you.....every time I set eyes on that photo, I giggle and guffaw uncontrollably...lol! Jay's facial expression is just so funny! Beautiful silhouette shot of Hannah! Jay certainly found a good use for his basketball! Hannah looks too darn cute as well! All I can say is that once again, Jay is a man of his word. Well done, Mr and Mrs Chou! I am so looking forward to welcoming Baby Chou into the world! Here's to a great pregnancy and safe delivery! Love and prayers for the THREE of you!